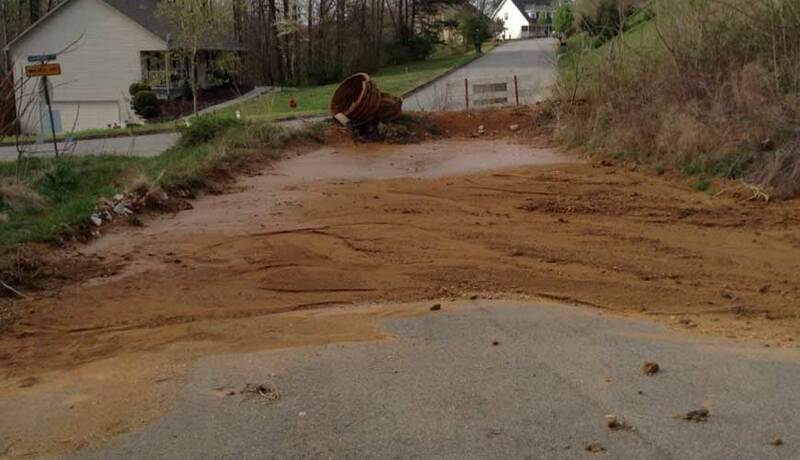 Knox County is required to control stormwater runoff from construction sites. 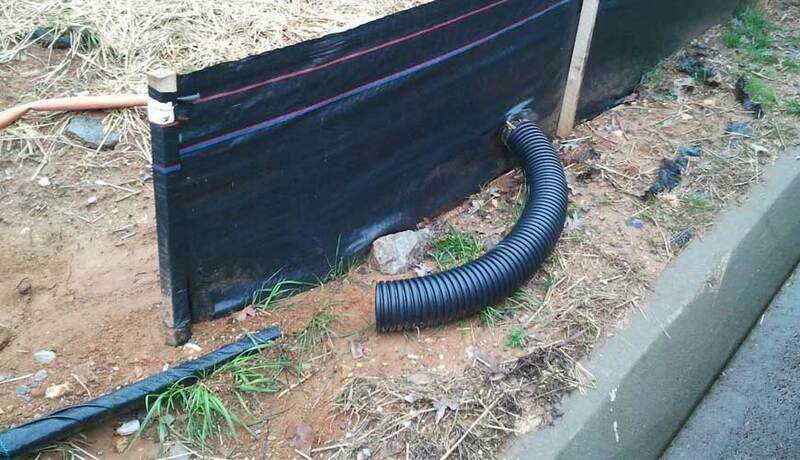 Click through to view some photos of unmaintained construction site practices. 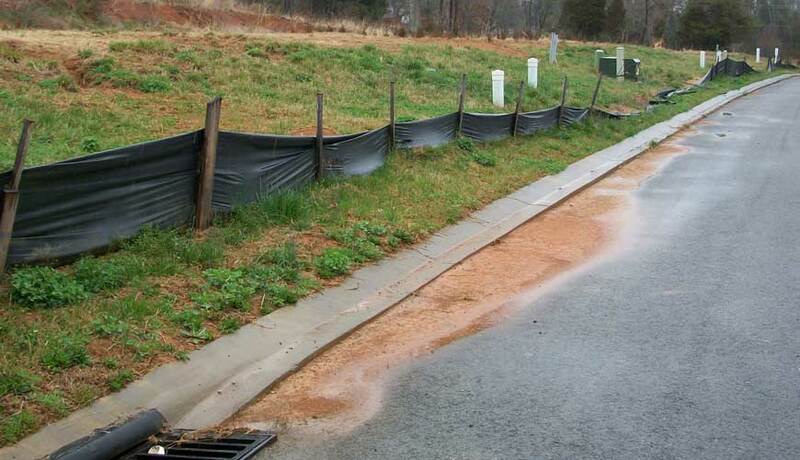 Develop, implement and enforce a program to reduce pollutants in any stormwater runoff to Knox County’s Municipal Separate Storm Sewer System (MS4) from construction activities that result in a land disturbance of greater than or equal to one acre. 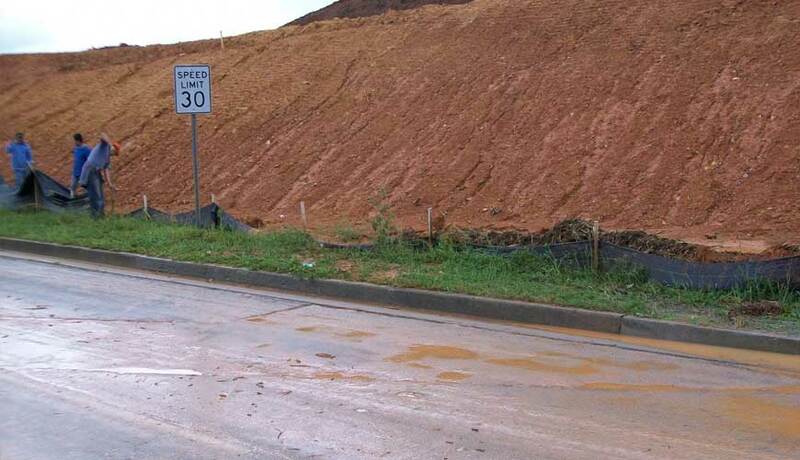 Reduction of stormwater discharges from construction activity disturbing less than one acre must be included in Knox County’s program if that construction activity is part of a larger common plan of development or sale that would disturb one acre or more. 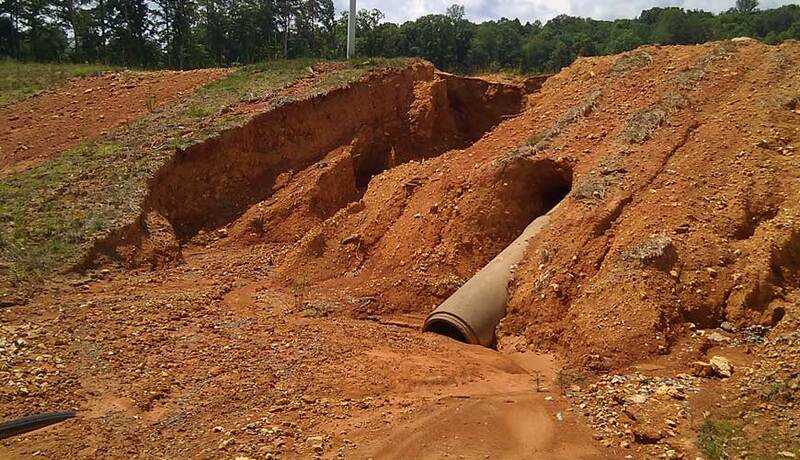 Establish an ordinance or other regulatory mechanism to require erosion prevention and sediment controls, as well as sanctions to ensure compliance, to the extent allowable under State or local law. Provide staff training in the fundamentals of erosion and prevention sediment control and in how to review erosion and sediment control plans. 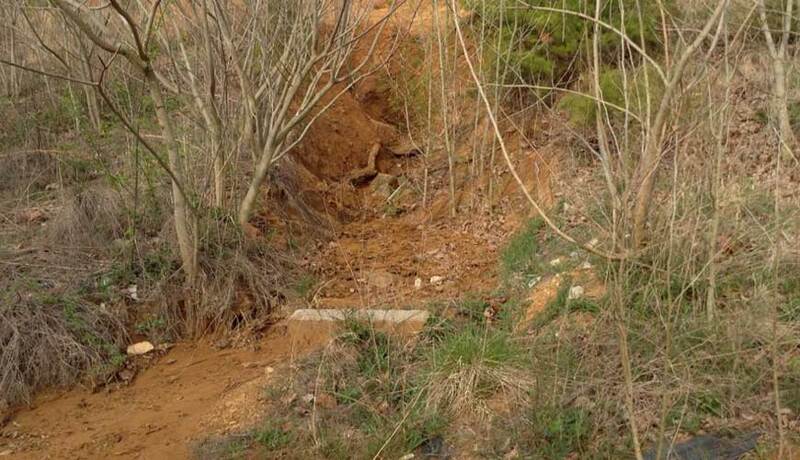 All staff must attend the Tennessee Fundamentals of Erosion Prevention and Sediment Control; and the Erosion Prevention and Sediment Control Design Courses. Developed a comprehensive construction site stormwater runoff control program that includes all of the requirements listed above. HAVE A CONCERN about a construction site in the County? Give us a call at (865) 215-5864.